Handmade contemporary Signet ring, crafted in solid Sterling Silver to create this sleek modern design which is perfect for daily wear. 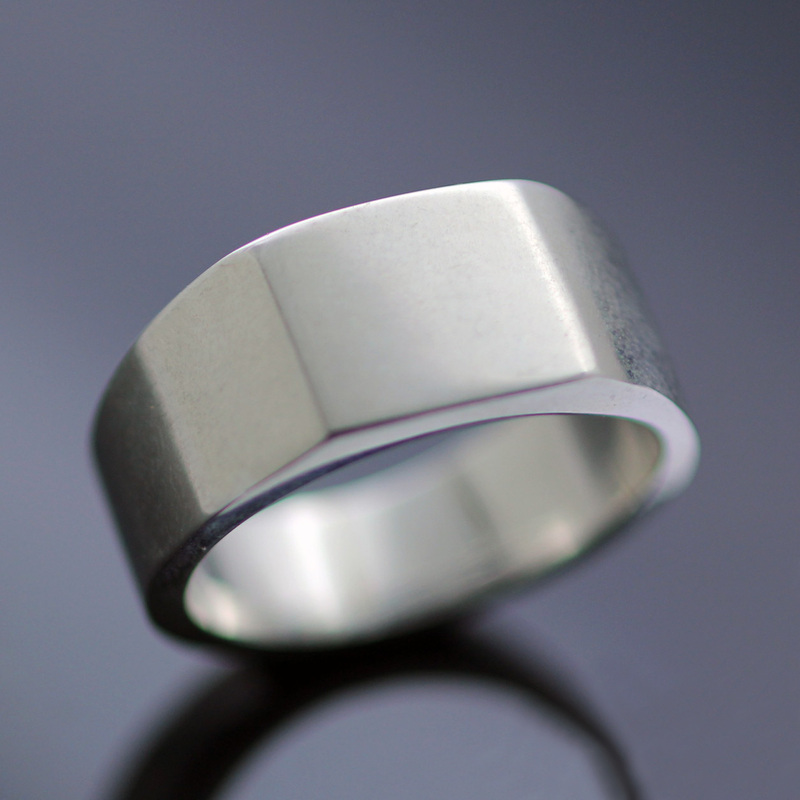 A streamlined Sterling Silver chunky mens ring has been crafted with care and expertise by Julian Stephens. 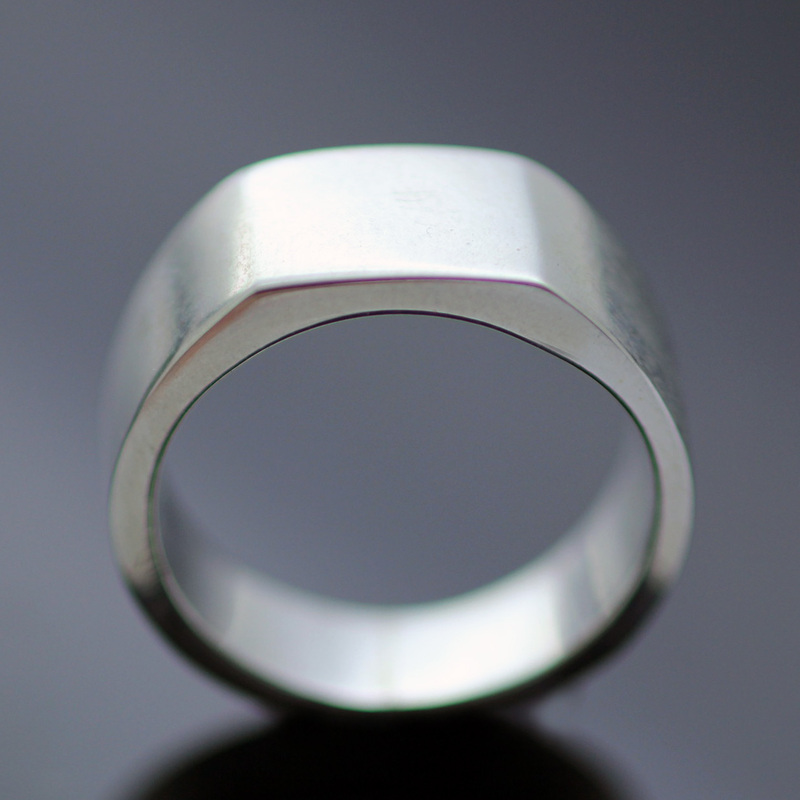 The stylish, clean lines of this Silver ring create an elegant and subtle Signet ring, a perfect accessory for him. This ring design could also be enhanced by adding a hand engraved design to the flat top of the ring to create a truly memorable and personal design. Please contact us for hand engraving design and pricing services. 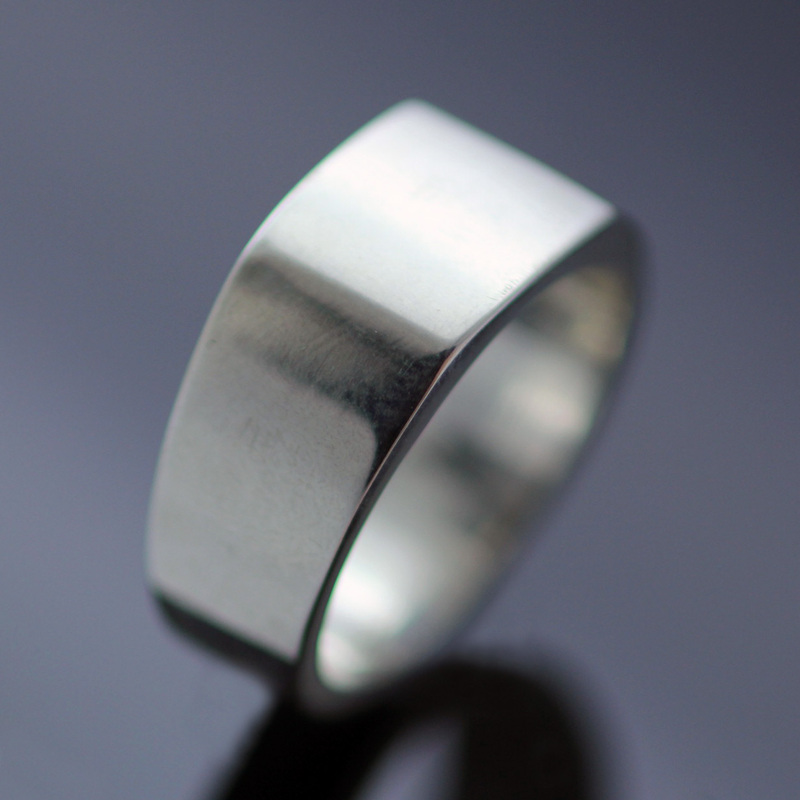 This handcrafted Signet ring is finished with a glossy polish to the Sterling Silver for added lustre, in addition this silver ring proudly bears Julian Stephens Maker’s Mark and is fully Hallmarked.